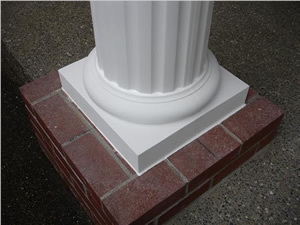 This page shows prices for paint grade, fiberglass-reinforced polymer (FRP), full round (not split), tapered, fluted shaft columns including a Roman Corinthian cap and a Tuscan base. Other caps and bases are available. Other caps and bases are available.